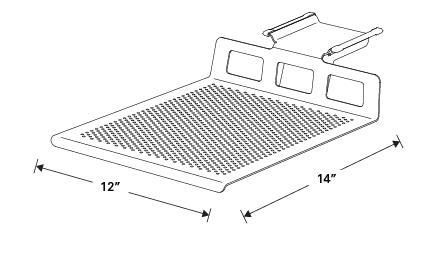 Humanscale’s Tech Tray is designed to accommodate the growing use of portable technology in the workplace, including laptop computers, tablets, e-readers, and cell phones. It offers extra workspace and storage, while keeping your hardware protected. A simple solution for technology access and storage, the Humanscale Tech Tray helps to organize and optimize a workspace by getting technology off the desk. Sized to easily hold a laptop with a docking station, the Tech Tray will keep portable technology items out of sight and safe from any desktop spills. 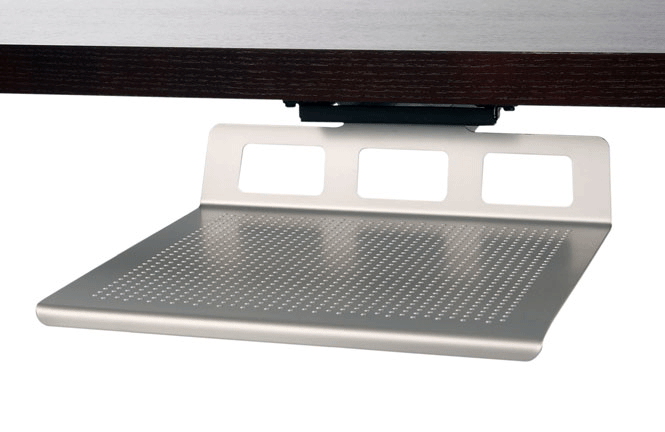 Optimal Size: The Humanscale Tech Tray features a large platform that is 12” wide and 14” deep to accommodate all portable technology, while still ensuring it can be conveniently stowed under a desk. 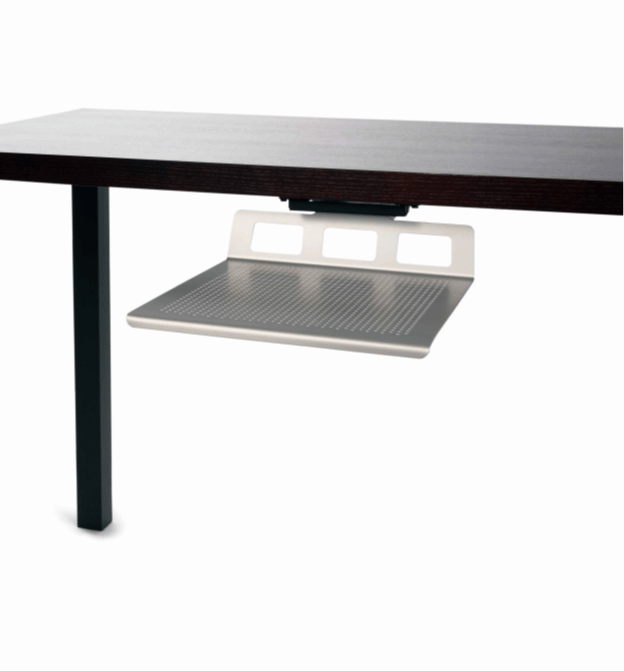 Easy Storage: The Tech Tray offers a 22” track that fits under all desks with ease and allows for quick access. 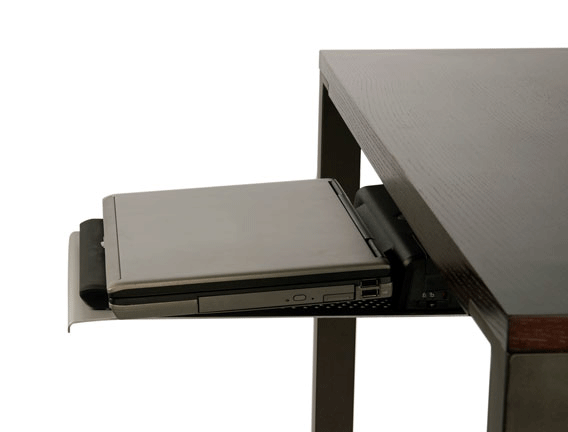 The complete unit fits within 3.5” of the underside of the desk to ensure plenty of leg clearance. Desk Addition: The Humanscale Tech Tray can be attached underneath any desk with the screws provided. Organizes and optimizes workspace by storing items off of the work surface. Standard 22" track. Sits 3.5" below track. Lock protects your technology investments.